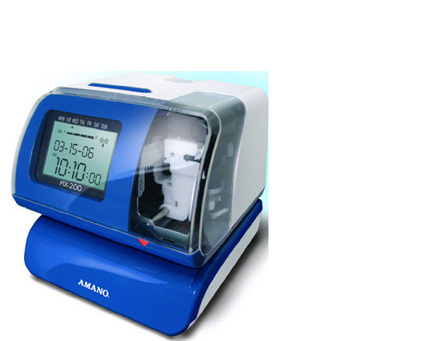 Amano PIX-200: Large LCD Display and large, rugged printer. In stock. Resets for daylight savings, leap year, etc. Easy on the eyes and built to last. You will be impressed! Resets for daylight savings, new months, all-that. Automatic print or manual print. We ship to Canada, every day!